Complete with copies of the original build card from 1974 this convertible comes with a fantastic history folder that you would expect from a car of this condition. There are also M.O.T’s dating back to 1980 which verify the current mileage of 48,376. The car was fully restored in 1994 and has only covered 8,000 miles since – less than 350 miles a year! Shortly after its restoration it featured in Popular Classic magazine and a copy of the article is included in the history folder. Finished in Metallic Blue with a Biscuit Tan interior, this rare original RHD convertible is in fine condition and ready for summer use at home or abroad! Débuting at the March 1974 Geneva Motor Show, the Interceptor Convertible was based on the same tubular chassis as its fixed-head sibling (albeit with suitably strengthened sill sections and windscreen pillars). As such, it was equipped with independent coil and wishbone front suspension, a ‘live’ rear axle and four-wheel disc brakes. Powered by a 440ci (7.2litre) Chrysler V8 mated to Torque-Flite automatic transmission, the new model was supposedly capable of 0-60mph in 7.5 seconds and 135mph. Intended as a rival to the Rolls-Royce / Bentley Corniche pairing (which it undercut in the UK by almost £7,000 at £9,863) the open Interceptor soon attracted a celebrity following. Owned by the likes of Cher, Frank Sinatra, Lynda ‘Wonder Woman’ Carter and financier Winthrop P. Rockerfeller, it was upgraded in late 1975 with the introduction of the ‘Qvale dashboard’ (a full width wooden affair). 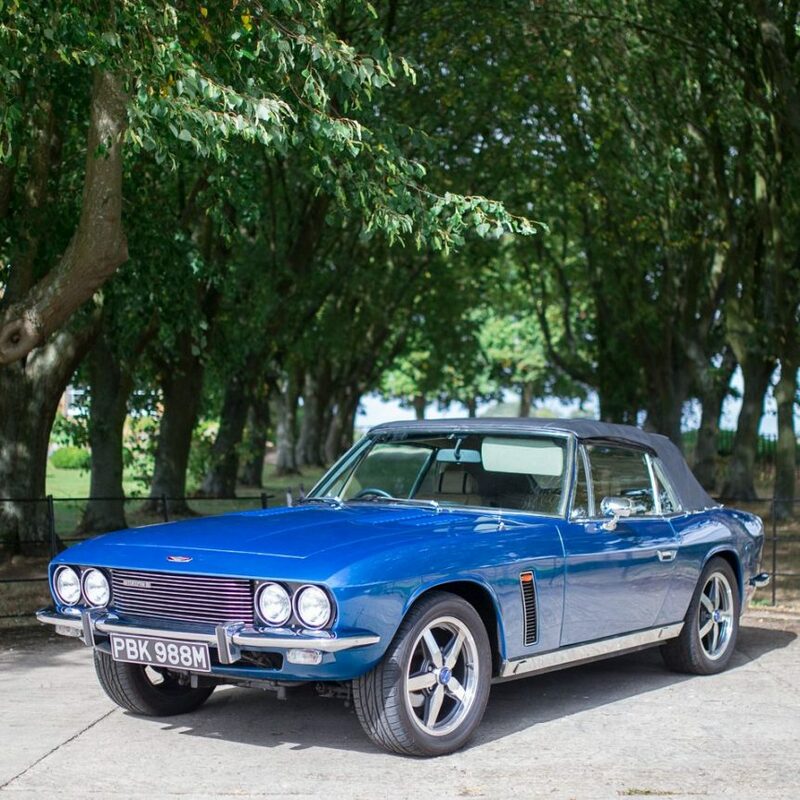 Only in production for two years during which a mere 507 are thought to have been made (with 87 RHD cars supplied to the home market), the Convertible remains the most sought after Interceptor variant.